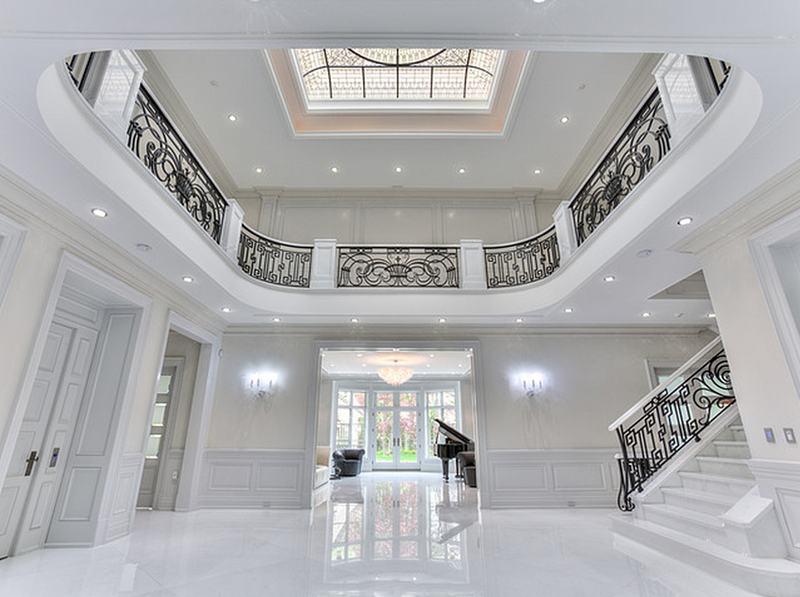 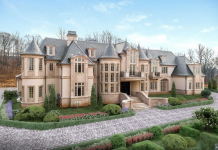 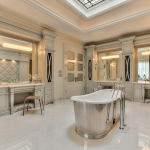 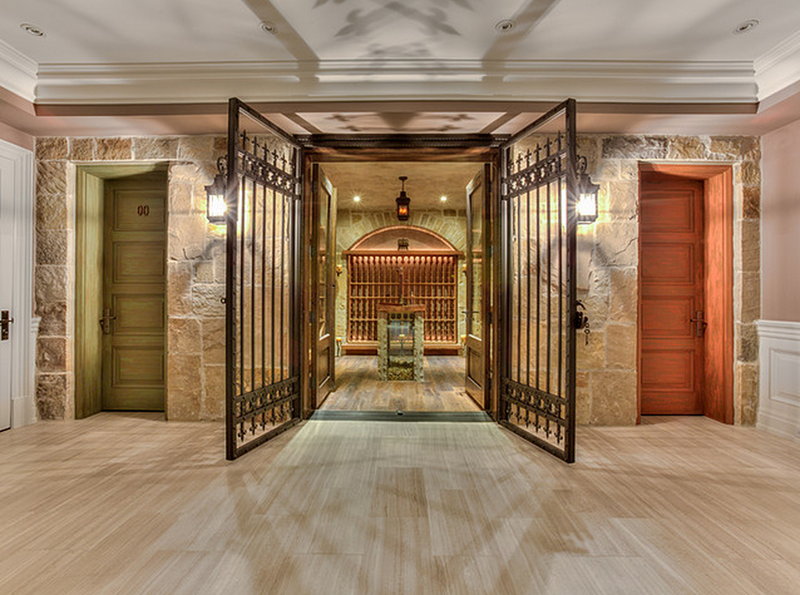 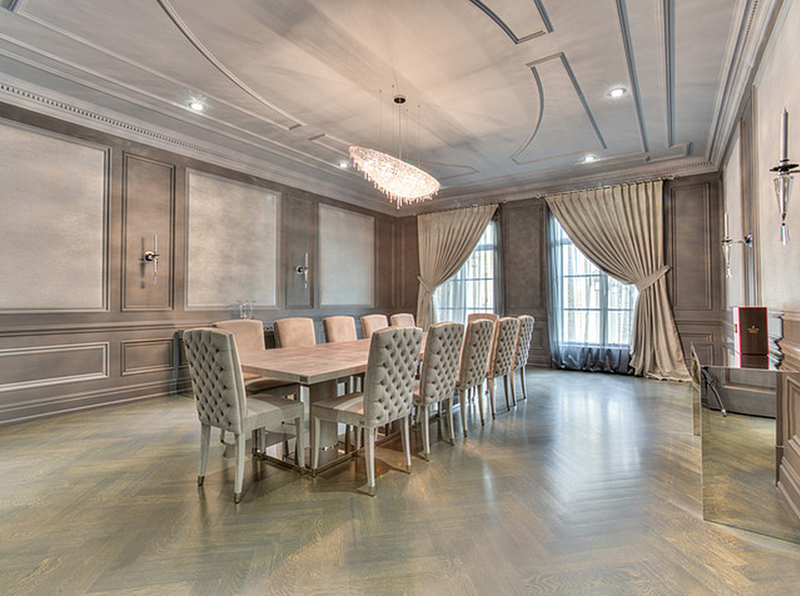 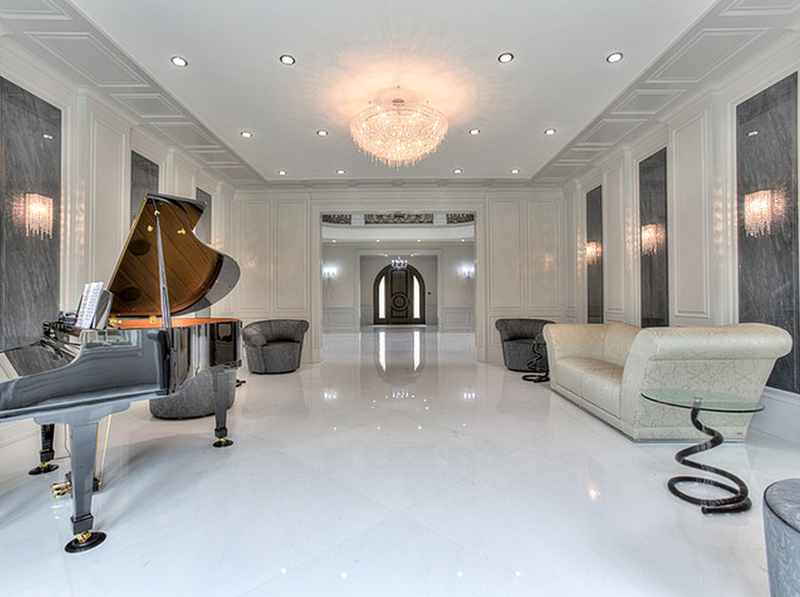 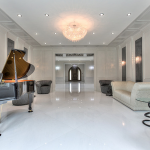 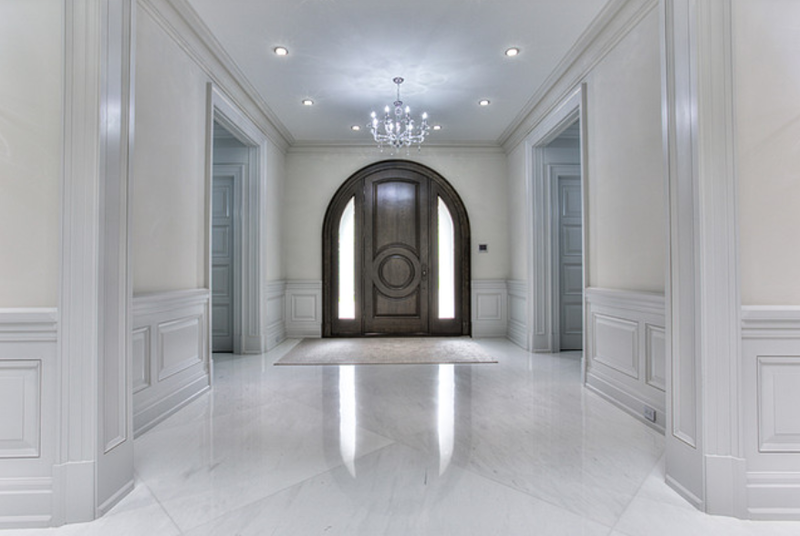 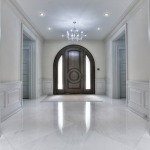 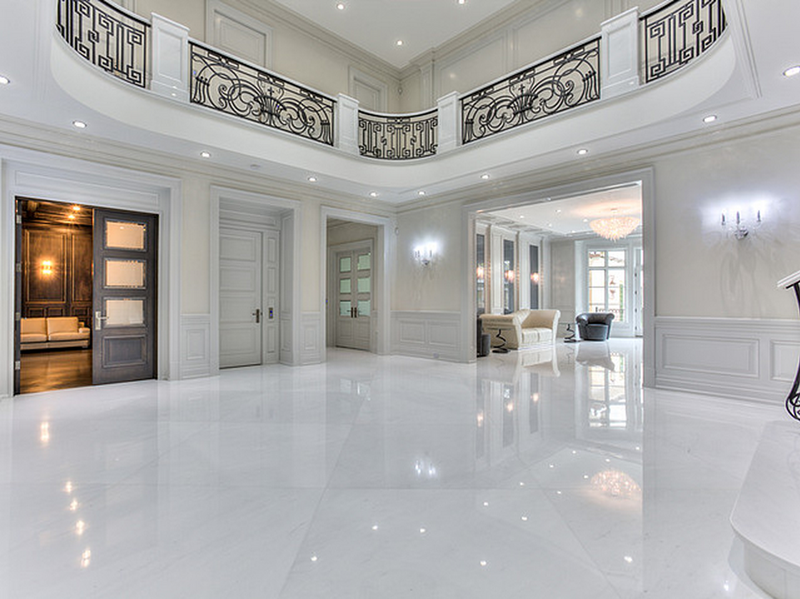 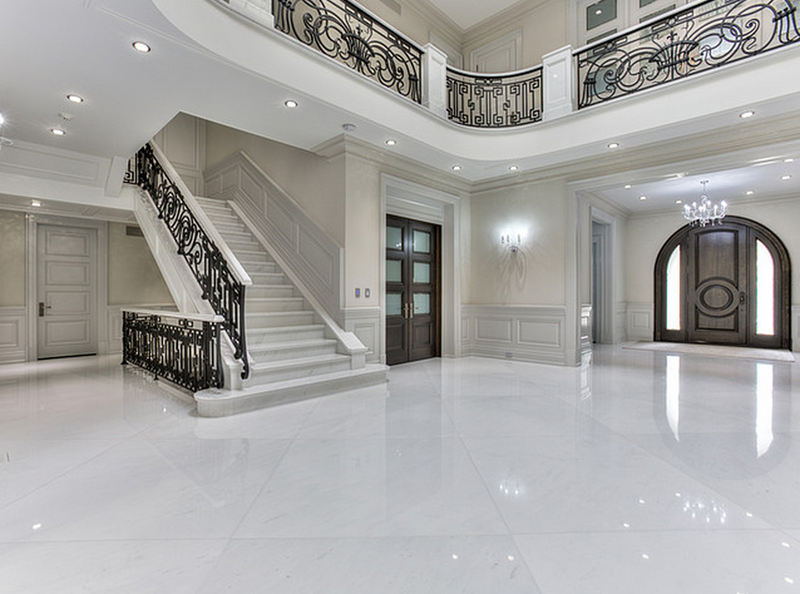 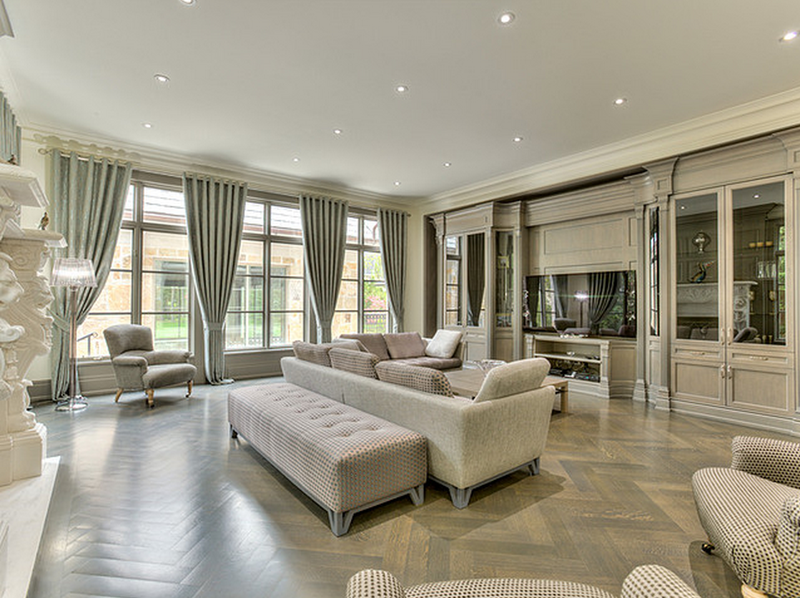 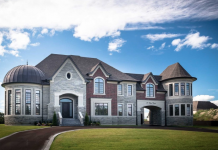 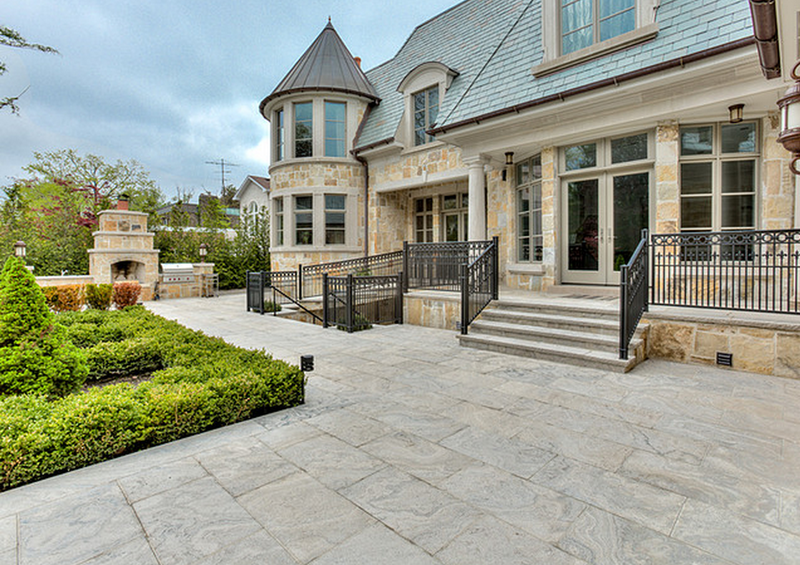 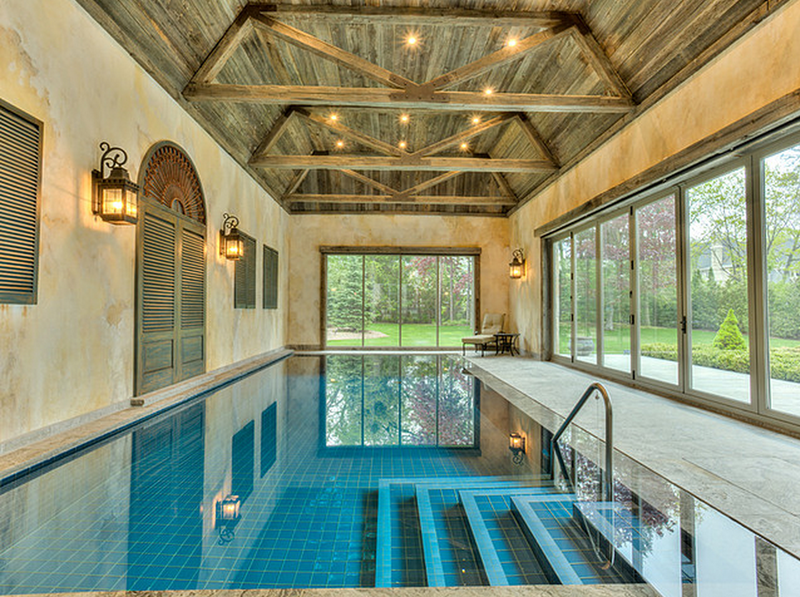 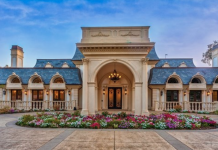 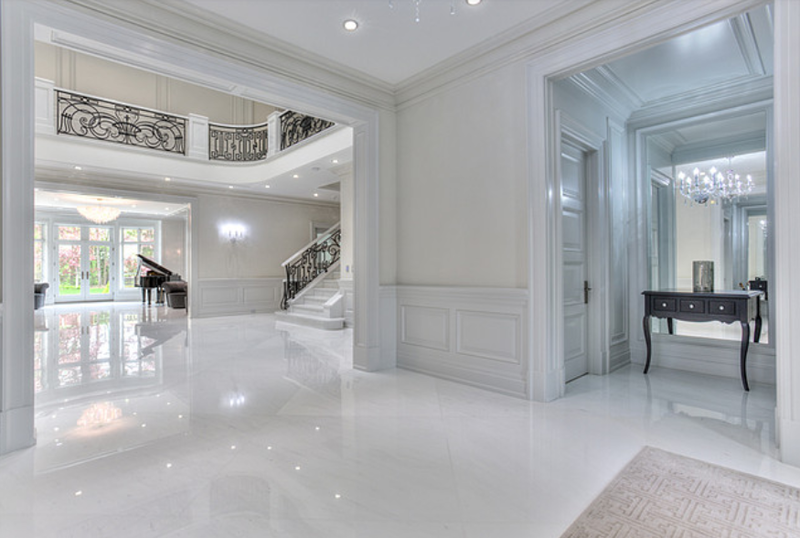 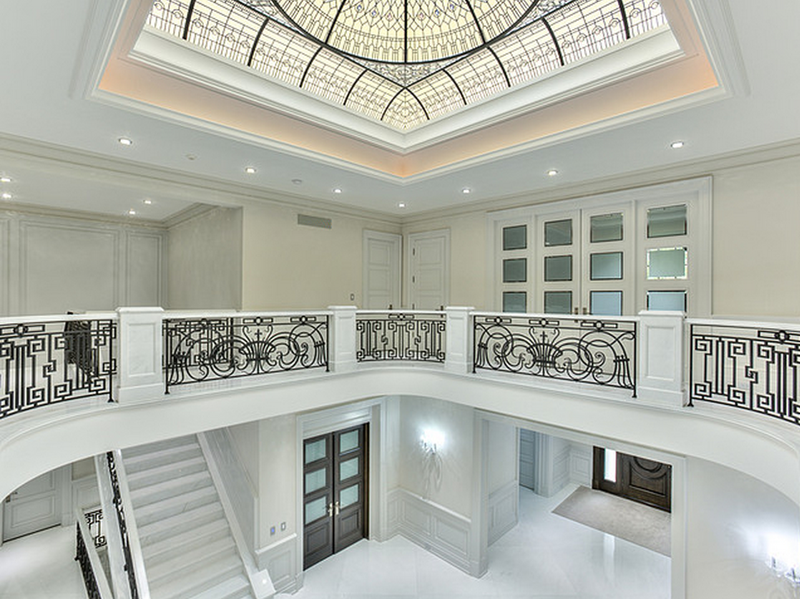 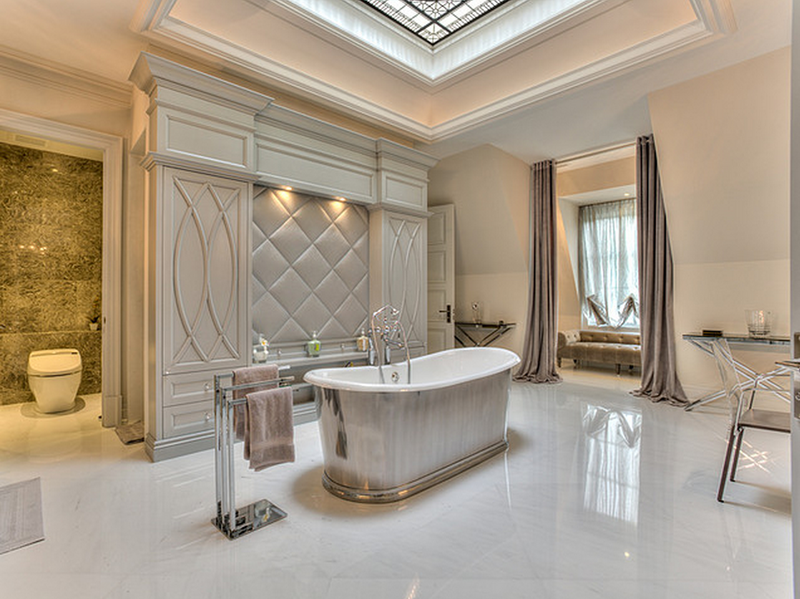 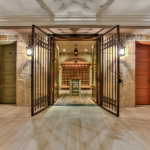 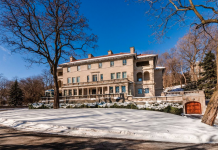 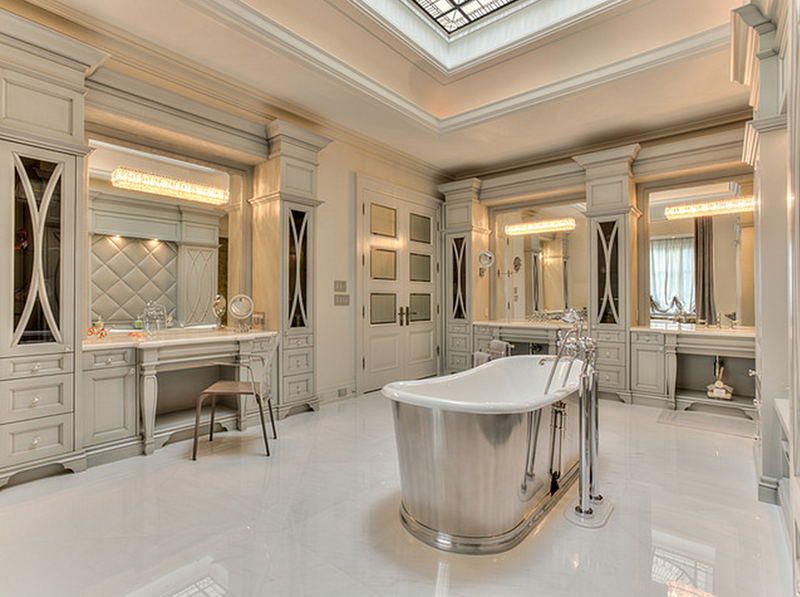 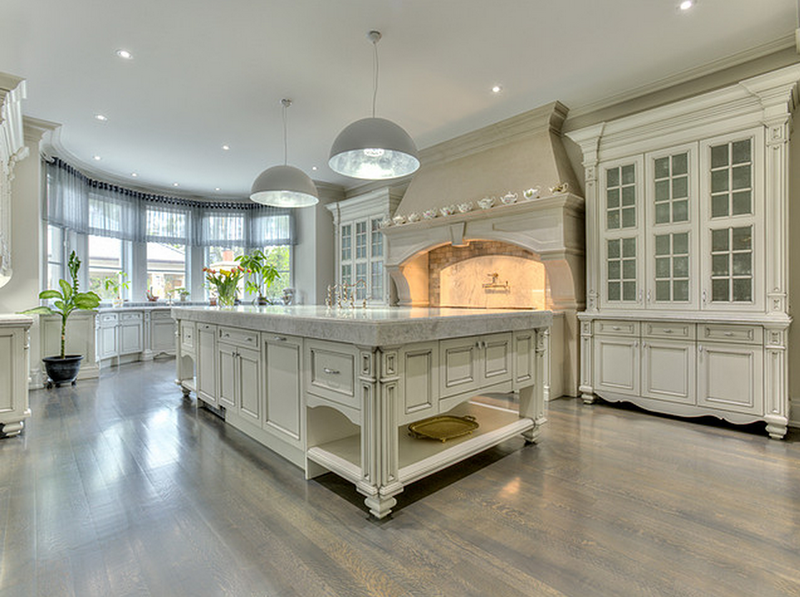 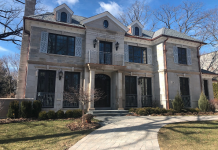 This newly built French inspired stone mansion is located on The Bridle Path in Toronto, Ontario, Canada. 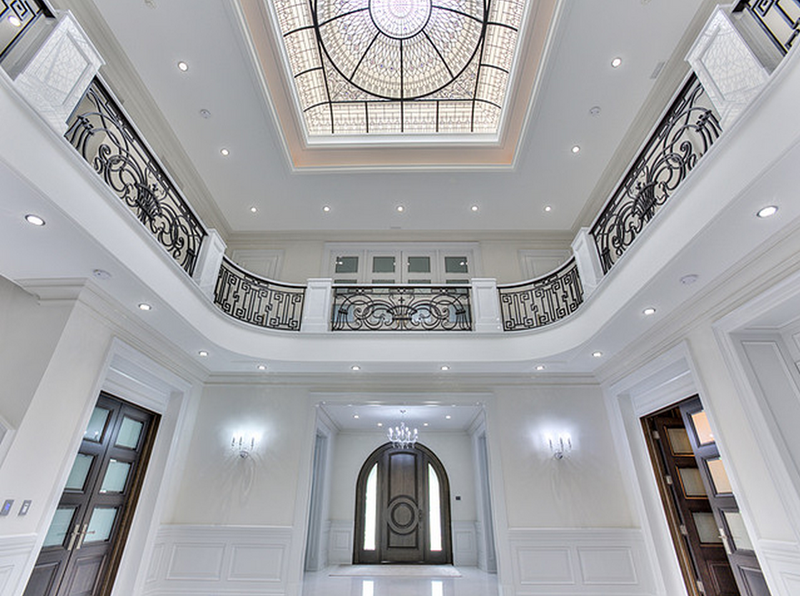 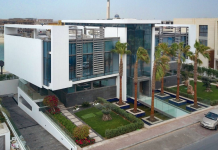 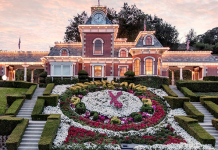 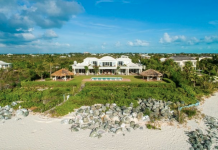 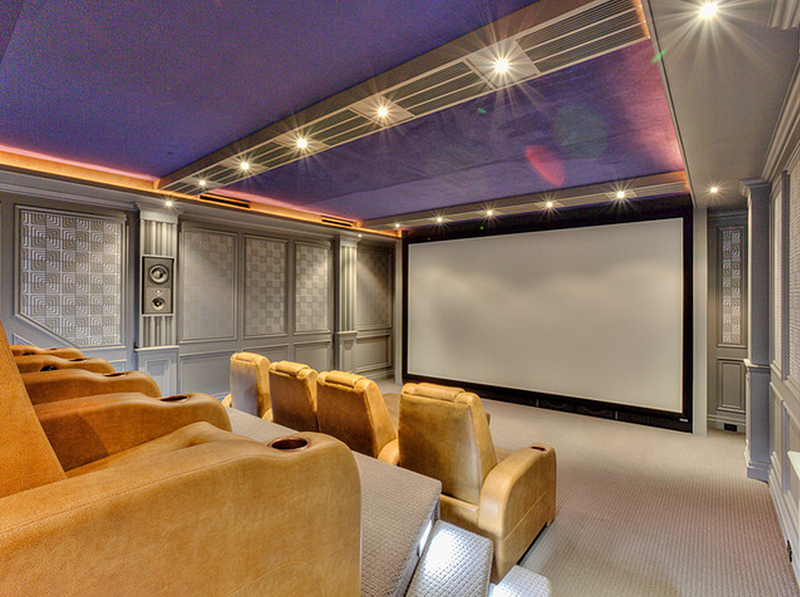 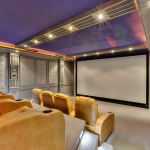 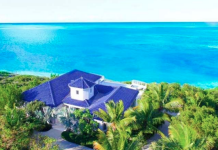 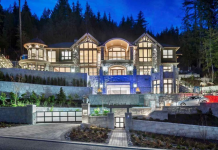 It features 7 bedrooms, 11 bathrooms, 2-story atrium foyer with skylight and wrap-around mezzanine, marbles staircase, elevator, marble floors throughout, formal living and dining rooms, gourmet kitchen, breakfast room, family room, paneled home office with coffered ceiling, 1200 bottle wine cellar with tasting room, home theater, indoor swimming pool, 3-car garage and more. 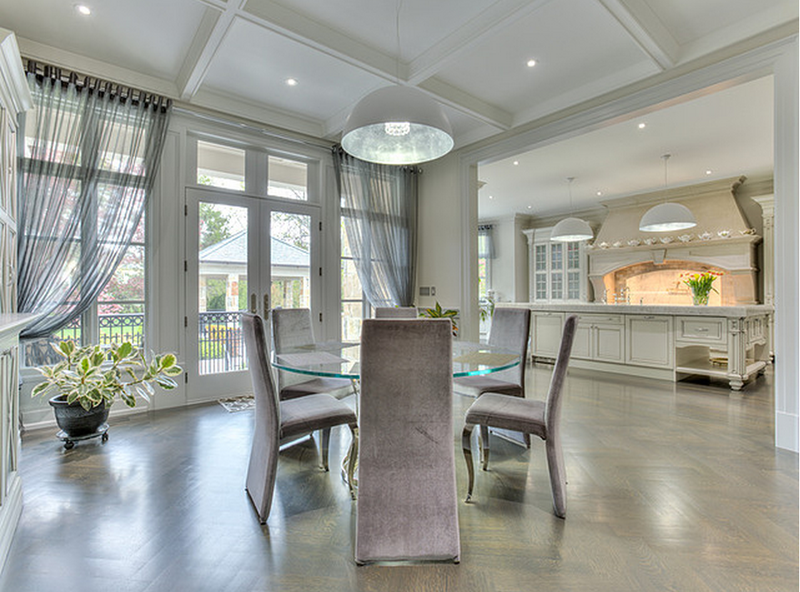 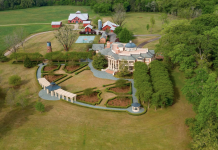 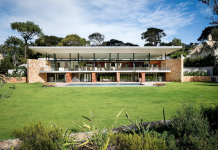 Outdoor features include a patio, built-in BBQ with fireplace, dining pavilion and garden.